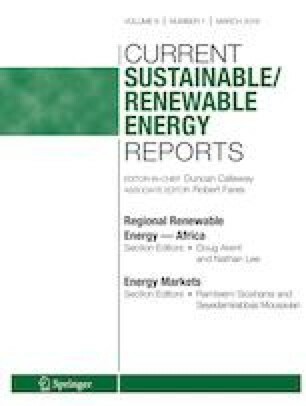 This paper explores the transition underway in competitive power markets in the USA and provides options for market operators to reliably manage through the current period of oversupply into a lower-cost, lower-carbon power system. There are several structural factors, as well as some more recent and short-term dynamic factors, contributing to oversupply in the power system. Power market operators have options for thoughtfully managing the transition, which include updating resource adequacy frameworks and ensuring market product definitions remain technology neutral given emerging technologies. Load serving entities can also hedge on behalf of their customers by contracting for low-carbon, low-cost sources of grid flexibility. Sonia Aggarwal declares no potential conflicts of interest. Pierpont B, Nelson D, Posner D, Goggins A. Flexibility: the path to low-carbon, low-cost electricity grids [homepage on the Internet]. c2017 [cited 2018 Nov 6]. Available from: https://climatepolicyinitiative.org/publication/flexibility-path-low-carbon-low-cost-electricity-grids/.